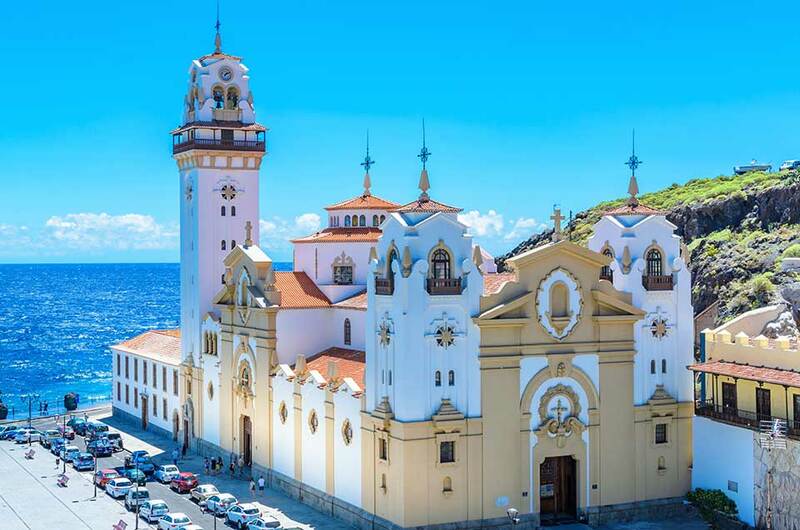 Candelaria, the Canary Islands’ symbol of earnest religious devotion, is proof that Tenerife is not just about the glitzy nightlife and exciting theme parks. Home to the archipelago’s well-loved patron saint, pilgrims, and Catholic devotees should not miss this town. Its claim as the island’s religious focal points has a long history dating back to 1392 when Guanches found a statue in the ocean. Called the Virgin of Candelaria, the figure is also fondly called the ‘Black Madonna’ because of its color. At present, it is housed in a solemn basilica, one of the most photographed churches in Tenerife. At present, the figure who is fondly known as the ‘Black Madonna’ because of its color, is housed in its solemn basilica. This beautiful seaside church is one the most photographed on the island. It also serves as a meeting point for thousands of pilgrims every year during the patron’s day. This sleepy fishing town is a favorite day trip spot among visitors. The lovely laid-back atmosphere is a perfect break from the hustle and bustle of the tourist-congested holiday resorts. Not just for religious buffs, lovers of peace and tranquility will surely be captivated by the wonders of Candelaria. Walking around, it’s easy to see that this village is bred by the marriage of Guanche and Spanish cultures. 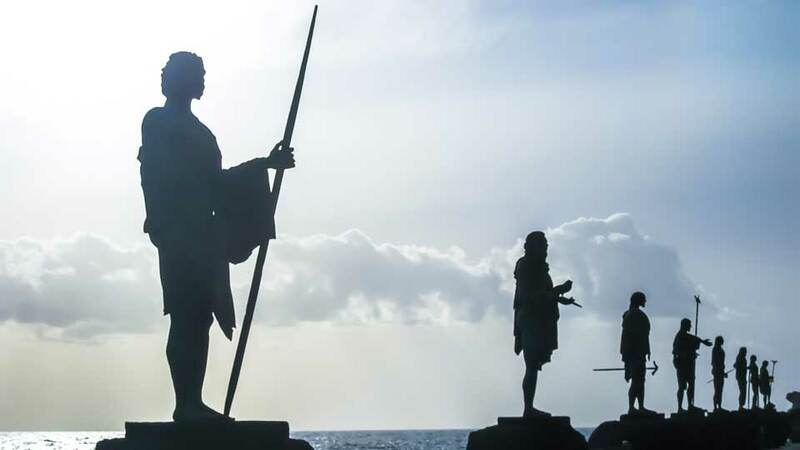 This fact manifests at the town’s architecture and attractions, including the bronze statues of the twelve Guanche Kings that stand proudly in Plaza de la Patrona de Canarias. 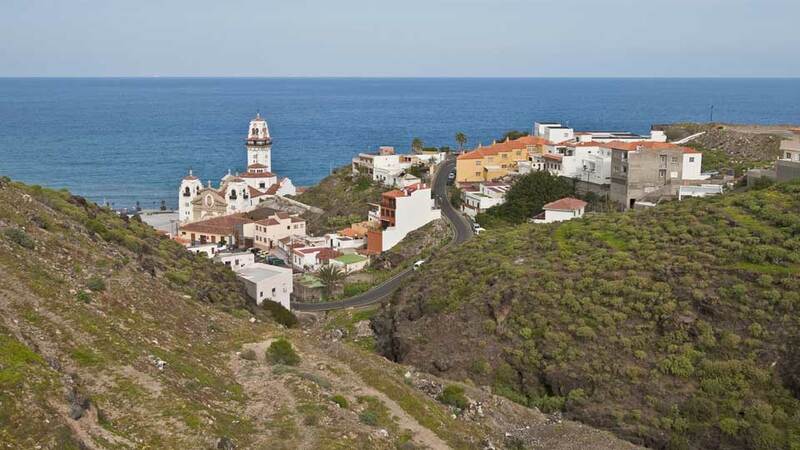 Hidden caves and natural volcanic beaches also define the surroundings of Candelaria. Oozing with fishing village charm at every corner, it is the perfect excuse to have some fresh and delicious seafood. Also, this sunny town has a lovely promenade and many emblematic sights waiting to be discovered. A well-loved village and municipality, most of Candelaria’s emblematic sights revolve around the Black Madonna. From its stunning church to the town plaza, the devotion to the Patron Saint is evident. Meanwhile, there are also beaches and shopping opportunities for those wanting to have a taste of the usual holiday activities. When the Black Madonna washed up on the shore of Guimar Valley in the late 14th century, the Guanches started worshipping the figure. Unfortunately, fire destroyed its first sanctuary built in 1668. In its place, a larger church that can hold up to 5,000 people replaced it in 1959. Designed by one of the best local architects, this impeccably-maintained church comprises three naves with a Mudejar-style ceiling. The 25-meter bell tower crowns the structure and contrasts dramatically with blue skies on a bright day. It’s location at the edge of the town center overlooking a rocky beach also makes for a perfect after church visit stroll. Nearby the majestic Basilica is Plaza de la Patrona de Canarias, an outstanding and spotless square where major town events are celebrated. On one side, it features the nine impressive bronze statues with their backs to the sea. These figures represent the Guanche kings of the nine kingdoms the island was divided into. Meanwhile, the other sides hold various bars and cafés where visitors can have their caffeine fix while savoring the view of the ocean. Located only a couple of steps from the Basilica is Museo Alfarero de Candelaria. Although getting to the museum involves quite a climb, it’s well worth the effort especially for lovers of history and culture. This small pottery museum houses beautiful local crafts including paintings and ceramics. As such, those who wish to take home some souvenirs are in luck because this museum has a shop selling lovely local products. The Cave of Achbinico is another excellent example of the merging of Spanish and Guanche traditions. Known also as the Church of San Blas, it is the first house of worship dedicated to the Virgin of Candelaria. This small chapel serves as the entrance to the cave, making this attraction unique and unusual in many aspects. Situated next to the chapel is the Cave of Los Camellos, another eye-catching spot. As its name translates, this cave served as a resting place for camels hundreds of years ago. This volcanic black sand-and-pebbled beach is situated just a stone’s throw away from the Basilica. It features man-made coves, affordable sunbeds and calm waters perfect for a relaxing dip. When the sun is at its peak, visitors can enjoy the shade of the many restaurants just across the lovely promenade. The vast Atlantic Ocean, the clean beach, and fresh air bring a feeling of calmness and serenity to the soul. For visitors wanting to take a part of this charming town back home, this shopping street is the place to be. Hop from one souvenir shop to another and find a variety of religious imagery and crafts. Close to the Basilica and other town attractions, visitors don’t have to go out of their ways to indulge in some local shopping spree. For visitors traversing from north to south of the islands and vice versa, Candelaria is ideal for a stop-over. Aside from the Basilica, it is the relaxing town vibe that attracts visitors who are craving for peace and quiet from the tourist-congested island. From Santa Cruz de Tenerife, guests driving on their own may take the TF-1 motorway. The well-signposted road will them to the famous church and other places to be. In most days when traffic is light, the journey takes about 40 minutes. For those who prefer to take the reliable TITSA Bus, Route 122 departs from Intercambiador Santa Cruz two times every morning. This route takes commuters straight into the heart of Candelaria. Travel time takes about 30 minutes or less. Candelaria has something for everybody. Visitors looking for lush hotels and serviced apartments have quite a few selections to choose from. Those looking for the best bang for their bucks won’t be disappointed either. One thing these holiday rentals have in common, for sure, is that everything they do is to ensure the comfort and relaxation of families, couples, and single travelers. In the holiday resort of Las Caletillas, one of the best value options is Catalonia Punta del Rey. This 4-star hotel features a large pool, restaurants and fun and exciting activities. Each stylish room has everything a traveler may need, from mini bars to hair dryers. Also, there is a handful of black sand beaches nearby. Villa Tejinara is perfect for those looking for deluxe hotel amenities in a more intimate setting. A family-friendly holiday home, it offers a beautiful outdoor pool and terrace with sun loungers. The villa only has three cozy bedrooms, and free WiFi is available in all areas. At the end of the day, why not cool down to a delightful barbecue party at the garden? When it’s time to go, the villa organizes a convenient shuttle service upon request. Visitors looking for the best value for their money should definitely include this in their options. Aside from complete kitchen and living room facilities, each unit also has a terrace overlooking the Atlantic Ocean. A refreshing swim in the outdoor pool after a day exploring the city also sounds inviting. This northeastern town is a result of the merging of two cultures, and this manifests in its cuisines as well. With fishing as the primary source of livelihood for the locals, it is given that visitors are in for some seafood feast when in Candelaria. Well-loved for their great food and impeccable service, Restaurante La Casona del Vino is one of the best in Candelaria. Set in a rustic building, it offers Canarian specialties, Spanish food, and international dishes too. Also, this restaurant has a wide selection of local wines to top off their guests’ exquisite dishes. Featuring a rich variety of mouthwatering dishes from under the ocean, Casa Quita is a seafood lover’s refuge. Diners can’t get enough of their octopus, codfish montadito, grilled cheese, and local wines, among others. All these can be savored in a lovely, greenhouse style setting that overlooks the Atlantic Ocean. Famous for their tasty plant-based dishes, Plan Bakery elevates vegetarian cuisines like no other in Candelaria. Take a break from the usual burgers and fries and sample some healthy options like pumpkin soup, spinach, and four cheese cannelloni. They also serve a wide selection of coffee and the best fresh fruit drinks and smoothies. Its interior is lively and chic just like the staff who are all friendly and ready to help. 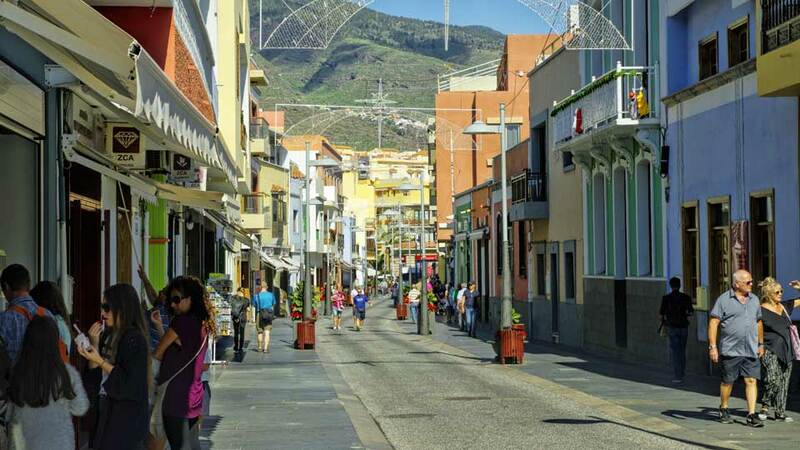 With the bustling holiday resorts, beaches and theme parks Tenerife are famous for, it is understandable that Candelaria is not usually on top of the list of visitors. Also, the town is only usually imbued by mass tourism once a year – during the Feast of the Virgin of Candelaria in August. However, those who have gone out of their ways to explore the off-the-beaten paths of the island will surely be captivated by this town’s charm. From the state-of-the-art Basilica of Candelaria to the idyllic black sand beaches, visitors from all walks of life will, without a doubt, be enticed to stay a little longer. These are just some of the many reasons to give the town few more hours, if not days.